The HSLF Feed System is a profit-pushing solution for improved side-matcher throughput and overall product enhancement. The HASKO HSLF feeder offers many advantages over conventional, manually fed pineapple feeders. 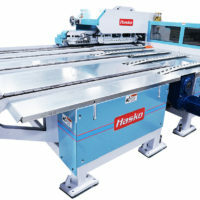 Instead of a human operator, the HSLF controls the wood and organizes the pieces for feeding. 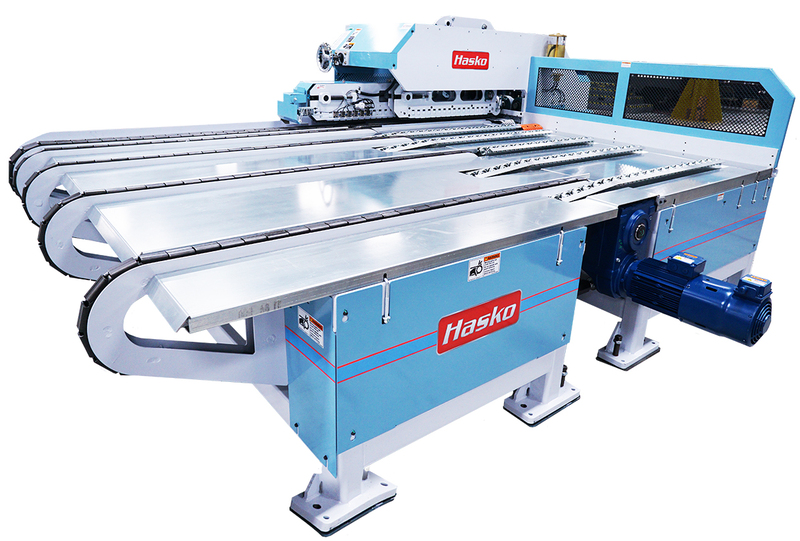 HASKO has many years of experience at handling materials of random lengths at very high feed rates. The new, technologically advanced, high-speed lateral-to-lineal feeding system offers continuous, automatic feeding of random length strips or block material to side-matchers or moulders. It feeds material as short as 10″ at variable feed rates to either 400 or 600 lineal feet per minute, keeping the operator’s focus on grade and yield rather than feeding.